we sometimes take for granted the fact that we have a Bible in our own language and in a way we culturally understand. many Christians have multiple Bibles in our homes, and even multiple translations. each one in our native language, right at our fingertips. yet there are some people in the world who would love to have a Bible in their language or with their cultural perspective, and it doesn't exist. yet. Oasis International is changing that for the African people. they are hosting a kickstarter campaign this week through June 16 to raise one million dollars in order to print the first 100,000 copies of their Africa Study Bible! 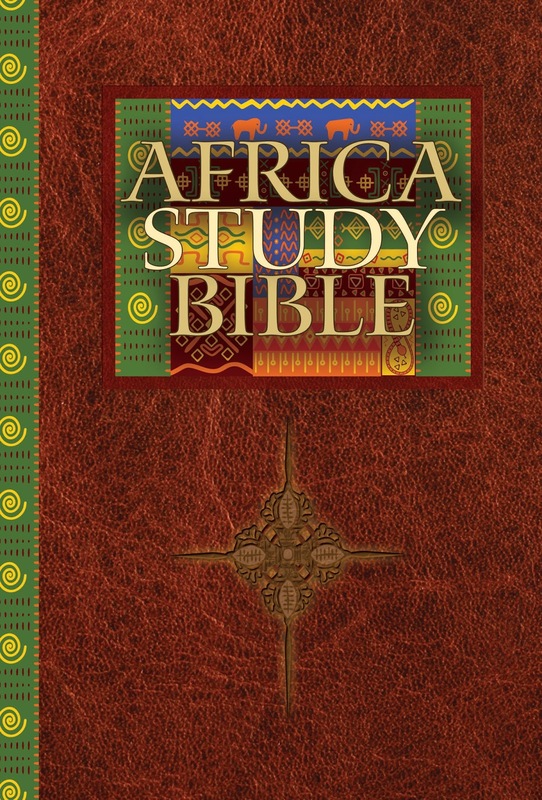 there are many incentives for contributors to the campaign too, like artwork prints, a copy of the Africa Study Bible, or an all expense paid trip to the launch of Africa Study Bible in the US or Africa! how neat would that be?! below is the press release about this amazing project and how you can get involved! Millions of English-speaking Africans know and love Christ, but for many, God’s word is hard to grasp. With nearly every full evangelical study Bible written from the viewpoint of the United States and United Kingdom, Africans have lacked a resource that connects with their unique experience, hindering discipleship. 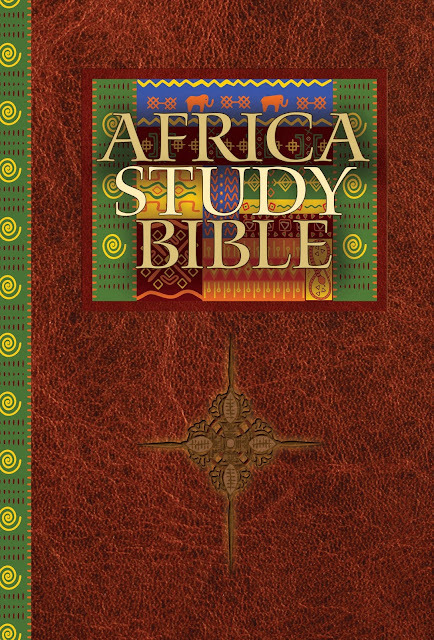 But that is about to change as major Christian organizations, led by Oasis International, are joining together to launch the Africa Study Bible (ASB), a six-year, cross-continental effort that has produced the first study Bible developed by Africans for Africans. With the editorial nearly complete, Oasis, with the support of its partners, is inviting fellow Christians to join with them in helping get the ASB into the hands of Africans. With a goal of raising one million dollars to print the first 100,000 copies, Oasis is seeking private donors as well as launching a Kickstarter campaign, which begins April 18 and runs through June 16. Contributors to the Kickstarter campaign have the opportunity to receive incentives ranging from artwork prints to limited Italian leather editions of the ASB as well as all-expense paid trips to the launch of the ASB in the United States and in Africa. Designed to grow the faith of African church members, teach them to evangelize their communities, and apply a biblical worldview to their society, the ASB uses the New Living Translation and includes 2,400 plus features such as application notes, stories and proverbs, touchpoints that link Africa and the Bible, learn notes that explain basic theology, and major theme articles that apply the Bible to key issues. Oasis plans to initially release the ASB in English with French and Portuguese translations in development. Oasis is also developing a full-featured app of the study Bible. To support the effort, Oasis is partnering with Tyndale House Publishers to create the study Bible. Other participants include Campus Crusade for Christ, International, Willow Creek and Willow Creek Global Leadership Summit, IFES (International Fellowship of Evangelical Students), Scripture Union, Africa Leadership, TransWorld Radio, Moody Broadcasting, Center for Early African Christianity, PJA (Publications pour la Jeunesse Africane), MMD Global, The Livingstone Corporation, InSight Books, Urban Ministries Inc., and the Association of Evangelicals in Africa, with additional participants being added on a regular basis. 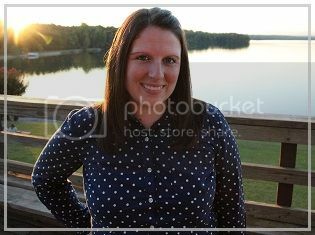 help bring this project into reality by contributing to the kickstarter campaign today!